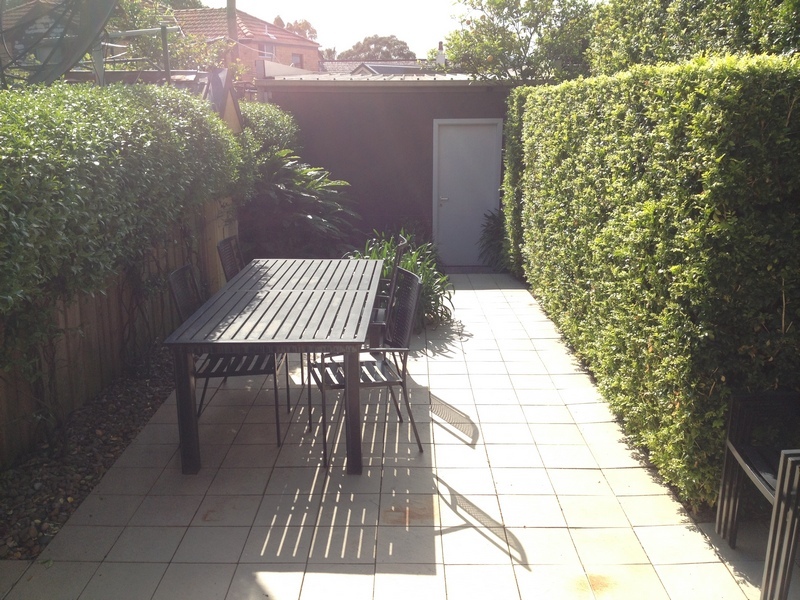 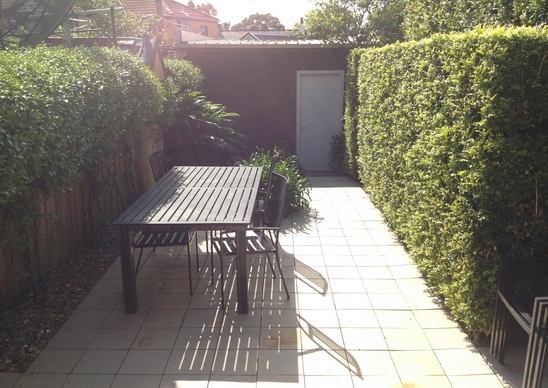 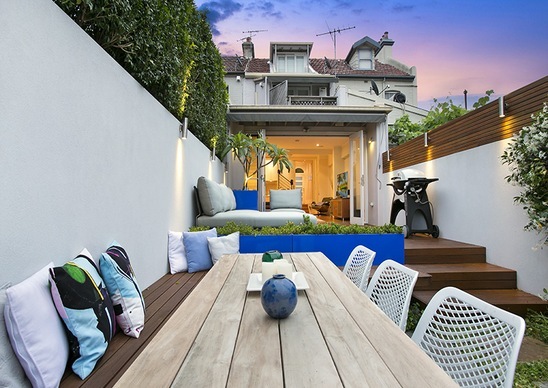 This small courtyard in Leichhardt had its limitations including a huge satellite dish in the neighbouring garden, plane noise and very little connection between the house and garden. 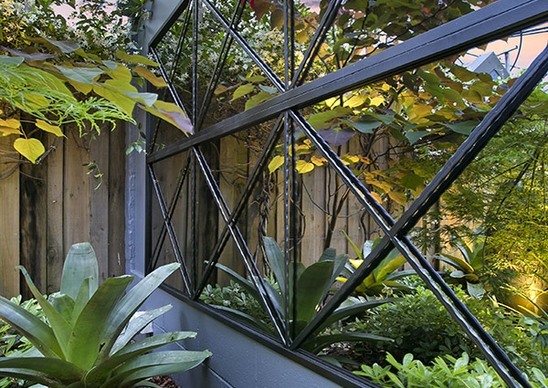 Valley Gardens were referred to our homeowners from a previous client which was terrific. 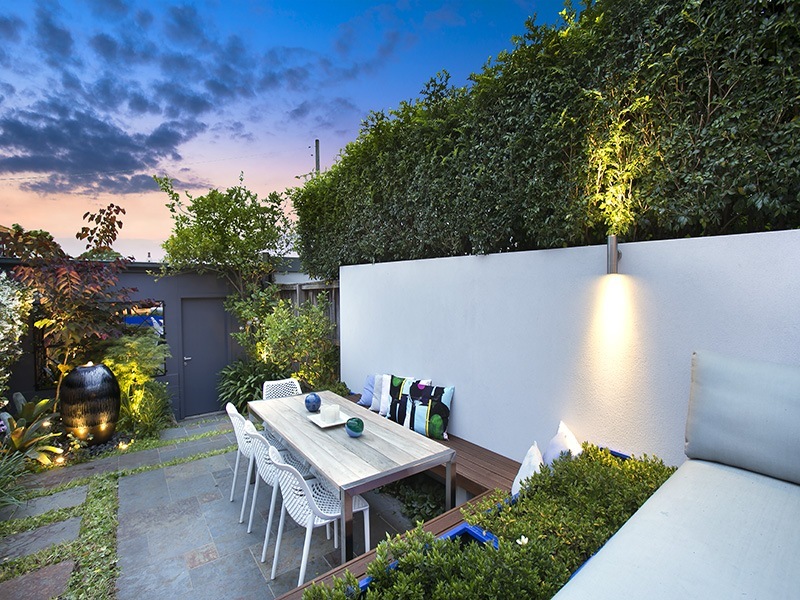 It was decided to divide the garden into two levels to provide a lounge area and a separate dining area. 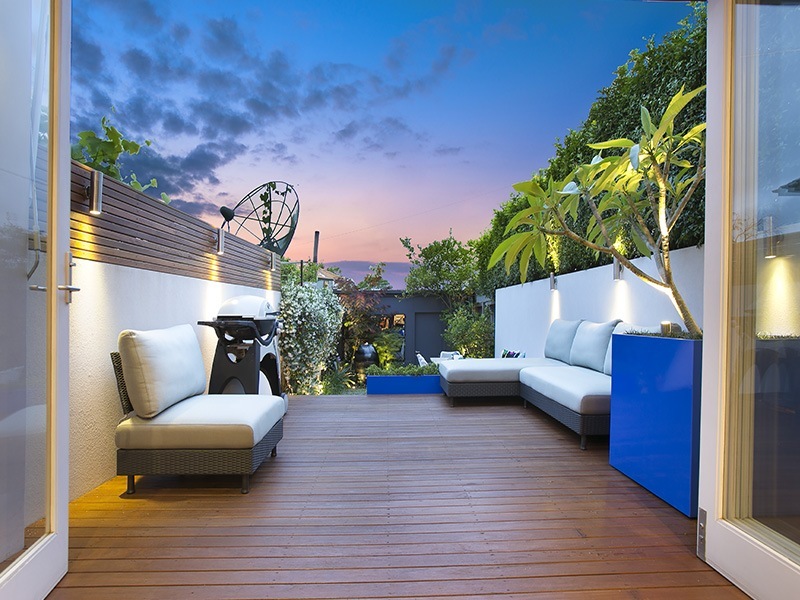 The flow from the house to the upper lounge area was of paramount importance and it has really extended the useable floor space of the house. 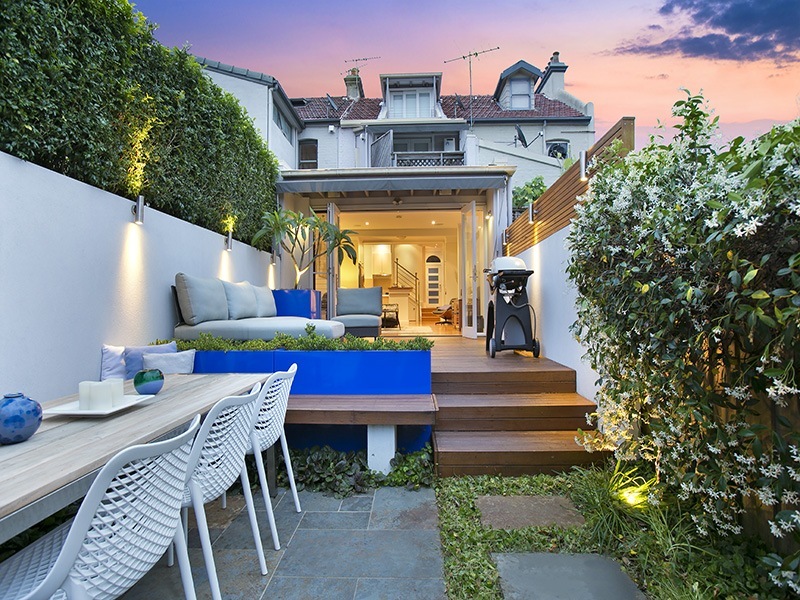 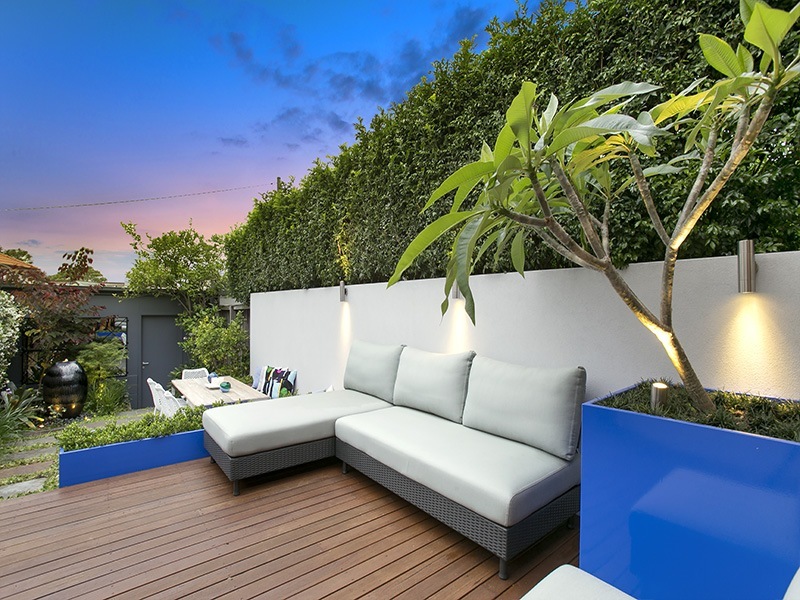 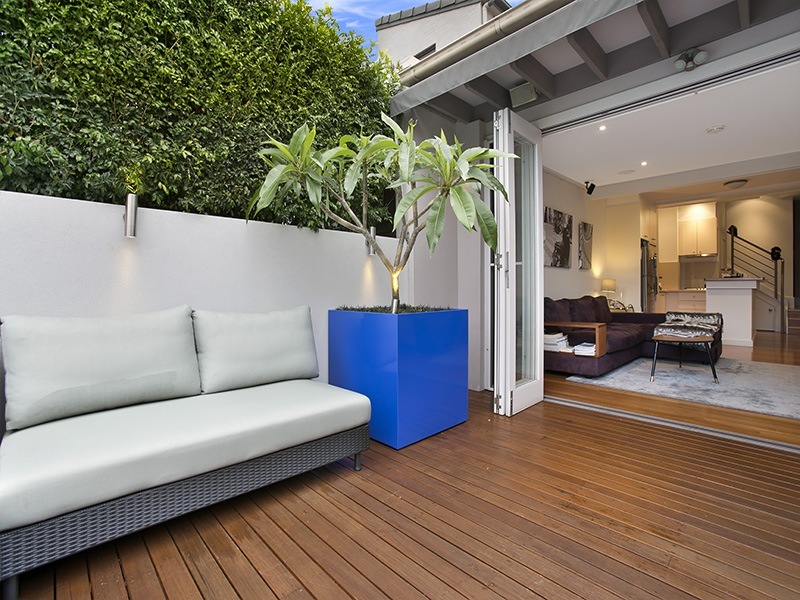 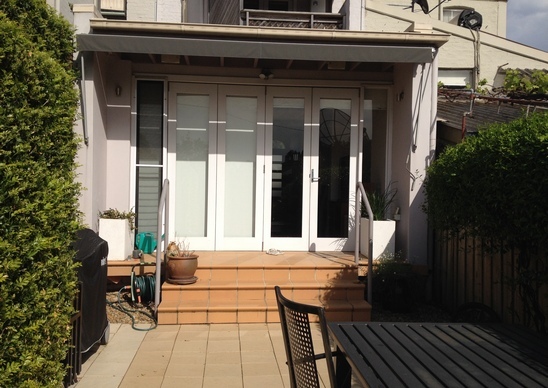 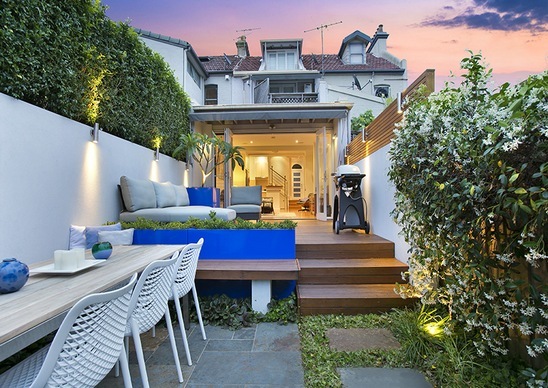 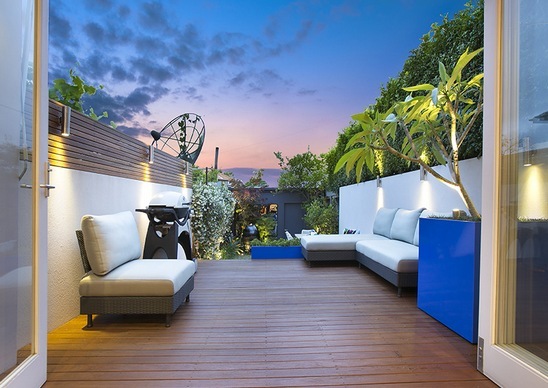 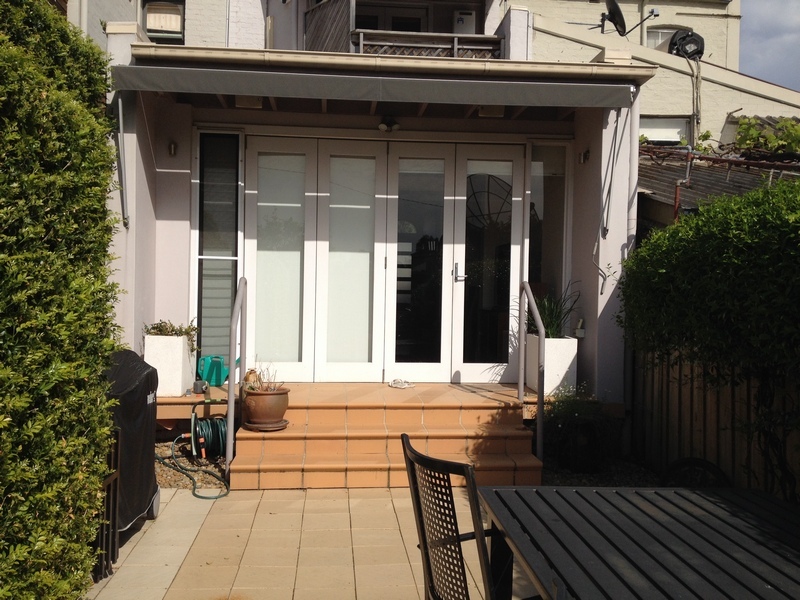 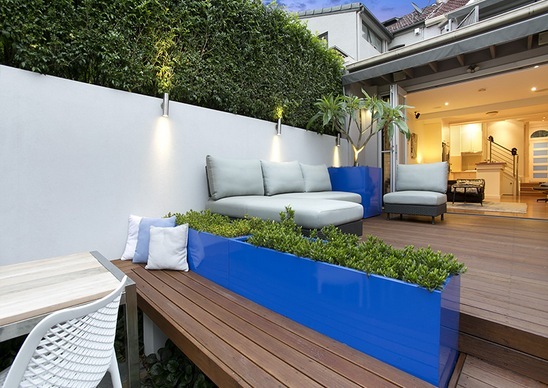 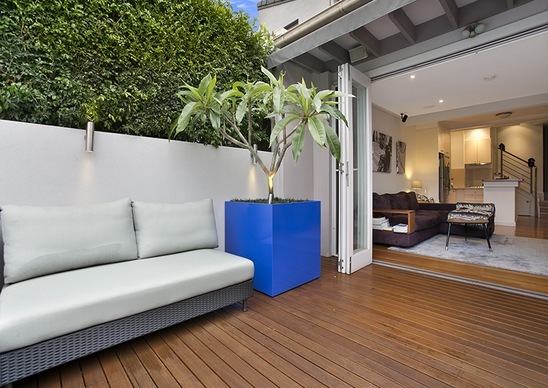 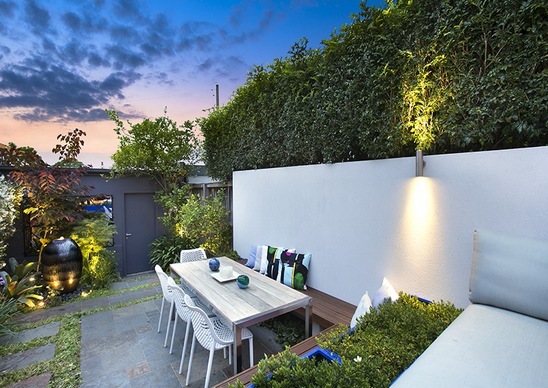 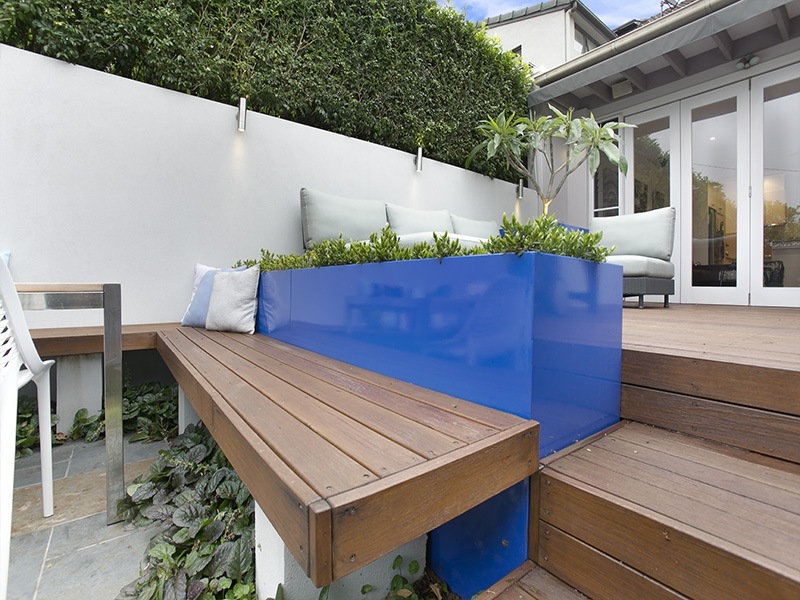 In-built seating and rendered privacy screens add functionality and a clean modern look. 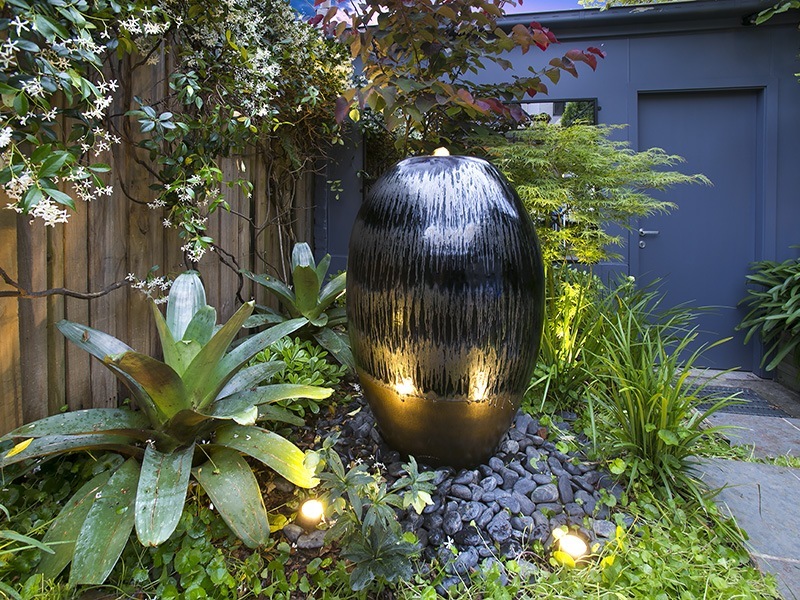 A simple water feature was installed at the far end of the garden to act as a focal point. 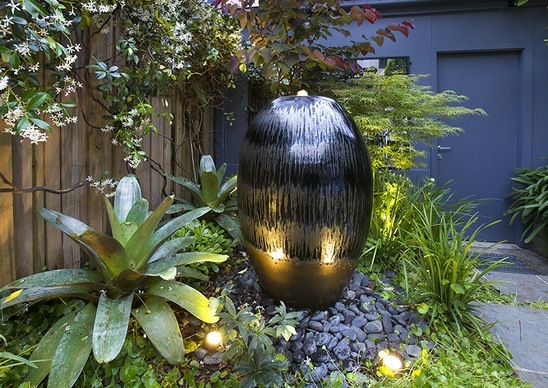 This can be viewed directly when opening the front door, particularly when up lit at night which is a great feature. 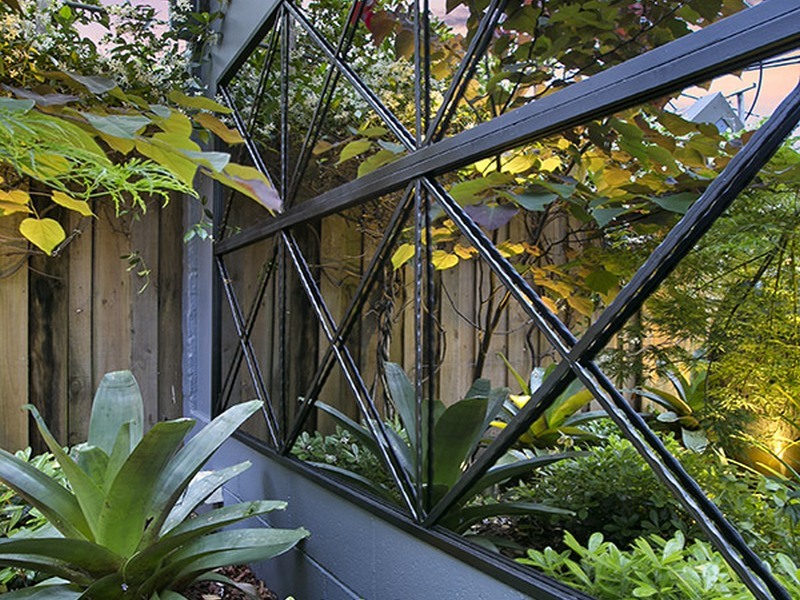 Behind the water feature an outdoor mirror on the garage wall creates a feeling of depth and intrigue. 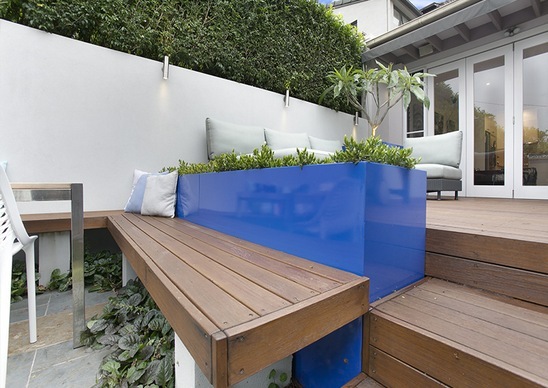 The use of the custom made, bright blue troughs throughout the garden really provide that pop of colour and elevate the garden to the next level. 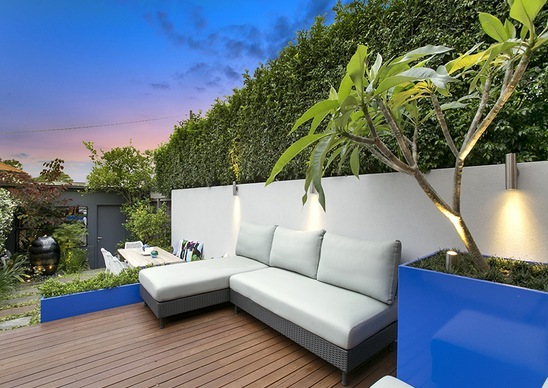 They are a real talking point and a bit of fun. 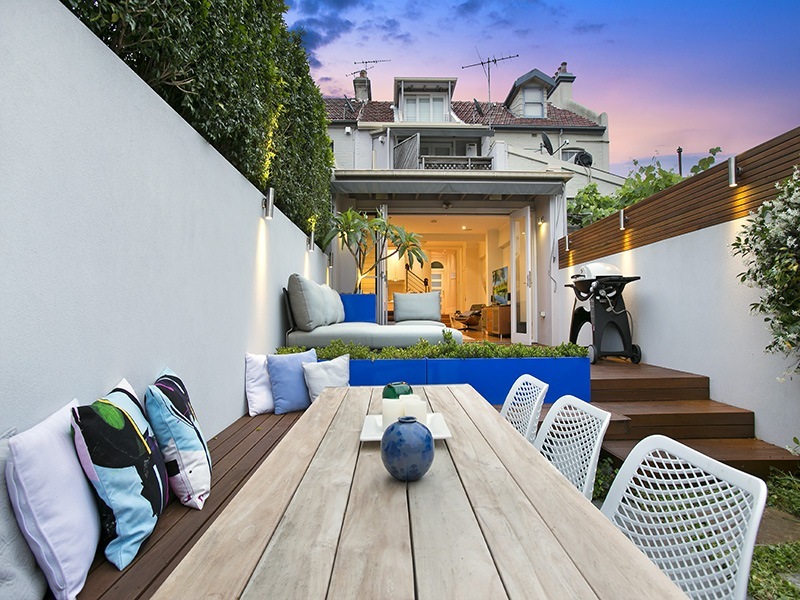 The clients are thrilled with the results and spend many an hour relaxing on the lounges or entertaining friends in the new dining area.